The iCade mobile is the newest addition to the iCade line. Designed for iPhone / iPod touch devices, this little guy is a nice addition to my pile of iDevice accessories. One of my geeky obsessions is anything that says it will work with my iPhone / iPod. From the moment it first arrived, I was eager to try it out. The iCade is only compatible with certain games, so I checked out their website to decide what to play. From the list of compatible games, I was happy to see a familiar title…Frogger Decades. This game has been pretty popular on the app store and my six-year old son, Brandon, has been playing it for months. The first thing I had to do was to get it to sync with my iPod via bluetooth. After that was over with, I ran into a slight problem…the device recognizes the iCade as a keyboard, so if you need to go to the app store to download games, you will need to turn the iCade off while you do it. Otherwise you wont be able to search for games or enter your password to install them. I finally had some games downloaded and started to play. After a few minutes of game time, it felt like I had someone watching over my shoulder. I looked up and saw Brandon eagerly waiting for his inevitable turn. He was convinced that after watching me for a few minutes that he could play without any instruction. The funny thing is that after I handed it over to him, I discovered he was right. He didn’t need any help at all. 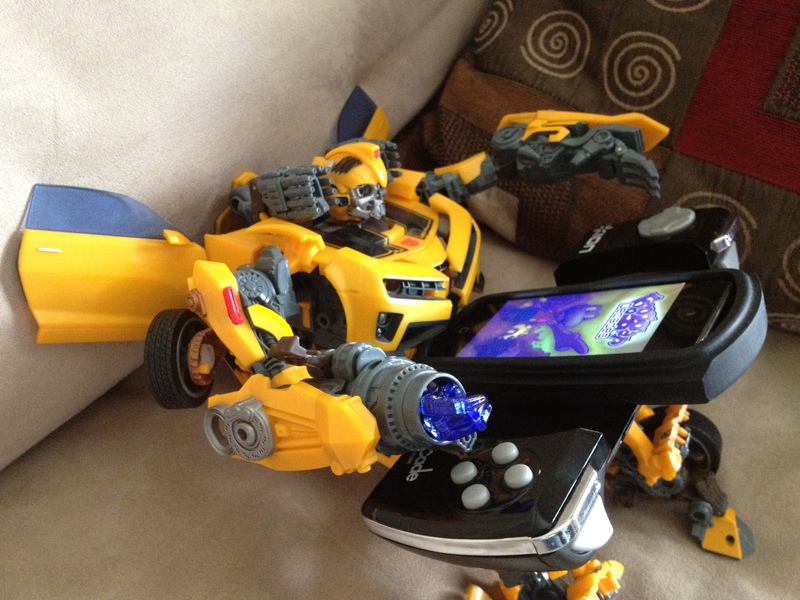 He was excited to see some new games on the iPod, but he wasnt that interested in them. His focus was all on Frogger. After playing with it for a little bit, we noticed he had made some significant progress in the game. Brandon was doing well with Frogger Decades before the iCade mobile, but he made some lengthy progress while playing with it. I wish it would work on games like Sonic the Hedgehog and Megaman, but maybe that’s something they can work on for a future update. I can’t say anything about the battery power since we haven’t fully drained it yet. So far, its holding its own after being played with for thirty to forty-five minutes at a time. Overall, I am pretty pleased with the iCade Mobile. I’m not sure how much it lives up to its big brother, the iCade, but for a little guy, it packs a nice little punch. The iCade Mobile is available from ThinkGeek, Amazon, Best Buy, Target and various other retailers. For a complete list, check out ION Audio’s website. ← Pixar Week: Why Do We Love Pixar Films?